Discover a world of new & exciting self-development products! 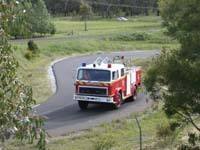 This page continues my weekly training diary from my time as a recruit in the NSW Fire Brigades Training College. Click on any of the pictures to be taken to my Fire Brigade Pictures Page. The first two days of weeks nine were learning Advanced First Aid. First we revised the senior first aid certificate information as we all held current senior first aid certificates (this was a requirement to join the NSWFB). After this revision we covered advanced techniques like giving oxygen and using the defibrillator. It was hard to concentrate on this topic important as it is because we knew at the end of day two we were flying from Sydney to Armidale for advanced driving. This was something we had heard a lot about and could not wait to do. On Tuesday afternoon we flew to Armidale for the advanced driving. We arrived a little after 5pm and went straight to the hotel to settle in and get changed before tea at the local bowling club. Next morning we were up early and keen to get to the track for the real fun (serious training). The facility at Armidale includes a road circuit and a large concrete skid pan. We were to use both to practice driving away from normal road users to minimise risk. My group (of five) started on the road circuit. The idea was to be smooth through the circuit to maintain good overall speed and not brake too heavily. After a few laps each our confidence increased and we were able to drive the Fire Appliance around the circuit without any problems. It handled excellently and under the watchful eye of the drive Instructor and a few words of advice we were soon driving better than any of us could have managed just a few hours earlier. After lunch the groups swapped and my group went to the skid pan. Here we practised braking techniques starting from straight line braking at increasing speeds to get an idea of how the Fire Appliance was affected by varying conditions, then we tried braking into corners and while avoiding obstacles. We learnt another huge amount about ourselves, our abilities and the ability of the International Fire Pumper. It was valuable and absolutely awesome fun. As an added bonus to us the NSWFB Commissioner came to Armidale on business and while he was here he visited us, said hello and had a go on the track and on the skidpan. We were all happy that he could take out a few minutes to chat to us (recruits) and we took the opportunity for a photo. That pretty much took up day one and we all headed back to the hotel tired but very happy and the two groups laughed and told their tales of glory on the way home. That evening we had a spa and a swim before tea and went to a local pub for a great feed and to watch Australia beat Uruguay to qualify for the soccer world cup. A top finish to a top day. Next morning we had our assessment on the road track, we had to complete the course within a given time and with no major errors. We all completed this no problem and then moved to the skidpan where a track had been marked out for us to drive on. It included sharp S bends, a few short straights and some sweeping bends as well as a few sharp turns. The pan was wet down to make it slippery and off we went. This was the most fun, we could try to push ourselves with confidence as there was no-one to hurt near us and the Fire Appliance would only slide on the wet concrete if we went too hard. That afternoon we had the skidpan track assessment and then cleaned up before heading back to the airport to fly home. This week the whole class came back together after five weeks of being split into two groups for alternate drive weeks and pump weeks. It was a odd to be such a big group again but it was great to catch up with the stories from the previous weeks. 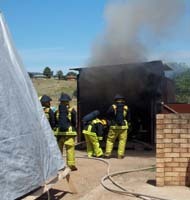 This week we concentrated on compartment fires, where the fire is in a room or sealed area. The first two days we covered the theory on how to protect ourselves from flashover and backdraft and how to fight a compartment fire mixed up with a few drills in the yard including entry drills. On Wednesday morning we started early by checking all our breathing equipment and loading up a trailer to go to Londonderry where the fire brigade has a compartment fire training area. After the hour and a half drive we arrived to find a double length shipping container set up with controlled ventilation and a rear exit. We set it up with timber sheets on the walls and roof area to simulate a room on fire and after checking all our gear again and having a quick rehearsal with the hose, we lit the fire and went in. We each had a turn at the front of the line holding the branch and controlling the fire without putting it out completely so each of us would get a turn. Half in the cell at a time, the other half at the back, away from the heat, but watching everything that went on. After that group was finished we let it cool, cleaned it out and did it all again for the other half of the class. This was awesome, interesting and exciting and I wanted to do it again (as did we all) but time was not our friend and we had another hour drive back to the college and so after the second burn we had to clean up and leave. The next day (Thursday) we went into the city to help raise funds for Prostate Cancer research. We put on our over-trousers to look very noticeable and were dropped off at the start of Pitt St Mall in the city (Sydney). We split up into groups of two or three and moved into our own areas to shake the tin. It was great fun, people came up and chatted or told us what a good job we were doing or just put money in the tin and smiled. Anyway it was a successful outing, we all had fun and raised a few dollars as well. Friday we had an exam and then cooked a bbq. 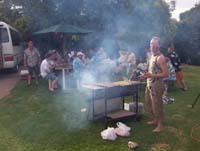 It was the first day for class 8/05 and the union always puts on a bbq for the recruits on day 1 . We had a laugh, met the new recruits and got a free lunch. After lunch we cleaned up, did a few drills in the yard with our instructor and knocked off for a few well earned drinks at the pub. All in all, another successful week. We have now completed week ten, only six more weeks to go; Woo Hoo. This was a great week. We had only two sessions in the lecture room and spent the rest of the week practicing our drills. One day we did a combined search and rescue drill in the Hot Cell with class 7. This was great as it was the first time we had done rescue drills in limited visibility while trying to drag a charged hose with us. Tuesday we learnt gas drills (how to approach a burning gas leak), Wednesday we did door entry on a specially made frame and prepared for our day out on Thursday when we were going to Long Bay gaol to use a training facility they had available. Thursday came and we got an early start to give us the most time at Katingal (Long Bay Gaol). When we arrived we checked all our gear as we were going into a smoky environment where there would be an actual fire somewhere within the facility. While we did this the instructors planted some dummies for us to rescue and set the fire. Before long we were working in teams doing fire attack, search and rescue and whatever else the 'incident controller' told us at the time. This was a great day. We did the drill three times and debriefed after each one. The first time we thought we did ok but soon realised that wasn't the case. The second drill we improved quite a bit and by the time we did the drill the third time we realised just how poor the first drill must have been in comparison. This was a long day and full on as we were wearing our full turnout gear and breathing apparatus on and off all day but no-one complained, we were doing the job. Friday was a quiet day so our instructor took us to Glebe fire station (Station 18) for a visit. The fire-fighters on shift showed us around the station and over the two appliances and in return we did their station duties including mowing the lawn, mopping, vacuuming and washing the trucks. It was a fair trade and sure better than being in the lecture room. After our station visit we practised using foam then returned to the college to clean up ready for the weekend. All in all an excellent week. The focus this week was helping class 5 to graduate. We did fit in an exam (the last exam for us, woohoo) and when we weren't required to assist the senior class we did drills in the yard. It seems the focus for us over the next few weeks (four weeks to go) will be to ensure all our basic skills are at a suitable level for when we are unleashed on a fire station and to be prepared for our own graduation in early January. We spent a lot of time making sure everything was in the right place for the senior class and any help they needed to get ready or move equipment or carry or haul or lower we were there. I was selected along with two other good looking class 6 guys to carry the flags for the graduation parade. This was a high profile task, we were required to march the flags onto the parade with the senior class and carry out drill to the standard they set. Fortunately with my military background and the experience of the other two (John Stokes and Ed Burti) we had no problems with this task. After the parade was over we were free to watch the fire fighting display put on at each graduation and I was able to get a few pictures. Check out the piccy's page to see what this was all about. Mineral trail, Car Fire,Rescue drills, Fundraising and Hot Cell. This was a busy week. We have finished all the theory so now it is practical scenarios and drills to get us up to standard. Each day was a different scenario for us. Monday: We went to Woronora to cut a mineral trail. This is a path of bare earth to be used as a fire break for a backburn. It was hard, hot work but we kept in good spirits and had a good day. Tuesday: We worked evening shift Tuesday and Wednesday. Tuesday we did a car fire drill. It was unusual being at the college in the evening when no-one else was around. It was such a change from the normal busy days. Wednesday: Our second evening shift. We went to HMAS Platypus to practice rescue drills in an unused building. This was a drill we had done a few times but a new location and unfamiliar surroundings kept things interesting. Actually we made a few mistakes on this drill and copped a few stern words from our instructors. We need to maintain focus for the rest of our training. Thursday: We did a few basic drills in the morning in the yard at the college. More to practice some of the things we didn�t do so well the night before. We did well and our instructor was happy with our drills. At lunchtime we went into the city to do a fundraiser. We have chosen CareFlight as the charity to fundraise for and dressed in overtrousers and helmet we hit the streets of Sydney to shake the tin. Class 6/05 raised $4,841 on this day, good effort guys. This was another great week. We achieved a lot and it was busy but interesting. We are looking forward to next week when we travel to Wellington (in country NSW) to do more compartment fire and Hot cell training. This week was a big week in the Training program. We drove to Wellington (country NSW) for our final practical assessments for compartment fire and Search and Rescue techniques with breathing Apparatus. This was the final hurdle before graduation and the whole class was nervous and excited, but mostly excited. On the first day we drove to Wellington from the college. It took most of the day and when we arrived at the training facility we unloaded our gear and started to check the equipment we would need for the next day. Once that was done we went to the Motel where we were staying and had a swim in the pool before tea. The following day we were split into four groups, the first two groups did compartment fire while the other two groups (group C and 4) did Breathing Apparatus training. 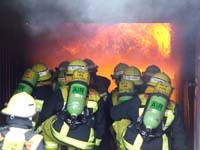 I was in the compartment fire training group. An old shipping container had been set up similar to the set-up in Londonderry only with a metal door to practice door entries. A fire was set and we went in to the compartment in groups of two (a branch man and a number two) under the guidance of an instructor and practiced our control techniques on the fire. We did three burns this day with a break between each to allow the compartment to cool down and clean out the mess from the previous fire. This was great and gave each person three goes as the branch and as the number two throughout the day. I found on the first burn I was a bit nervous and struggled to get the right branch settings throughout my drill. A bit disappointed, I practiced adjusting the branch outside before the second burn and found with the branch settings right I was able to concentrate more on attacking the fire and things went much better. 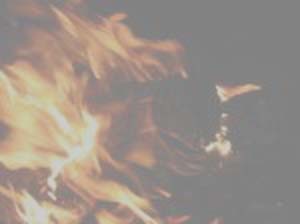 For the third burn my confidence was up and with the branch settings now coming easily I felt really in control of situation. The next day was Breathing Apparatus and Search and Rescue techniques. We did a number of drills including searching a building with sandblasted masks (to severely limit visibility), a search in a smoke filled environment and the final stand was doing a search in the Hot Cell. The Hot Cell is a large room with dividers to simulate a house. Inside the cell is a wood fire (safely contained but creating a lot of heat) and a gas furnace fire. This enables the temperature to be controlled and for this drill the room was heated to around 120 degree (water boils at 100 degrees so this was VERY hot). We double checked our protective gear and went in to search the dark hot room for sandbag casualties. The heat was immense but we were safe in our protective gear. We were glad when this one was finished but it was worth it to realise just how much protection we are afforded from the conditions in a fire. That night we had a BBQ and a few drinks. We were celebrating the end of our training and only had graduation practice left to look forward to. While we celebrated we were given our station allocations (where we will be stationed after graduation). I was very pleased to be told I will be stationed at Campbelltown, a busy station with plenty of work for a new fire-fighter. The next day we did a quick clean up of the Wellington facility and then there was the drive home. It was a relatively quiet and uneventful trip home. Once back at the college we did a quick clean-up and left for the weekend. This weekend is Christmas and I would like to take this opportunity to wish everyone as merry Xmas and the very best the New Year can bring. Railyard Drill, Marching and Grad practice. This week the focus was on getting ready for Grad. With only a few days to go next week we really wanted to get the basic layout for our graduation parade and fire-fighting display sorted. We started the week with a trip to the State Rail Authority yards where we did a search and rescue drill on a platform and train setup which they have in their Redfern Yard. This was a good drill and interesting. Even though we have done quite a bit of Search and rescue over the last few weeks the time away from the college along with the variation of the train platform setup made this an interesting drill. The rest of the week has been all about the graduation parade. 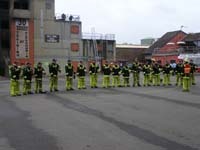 We have learnt how to march (for those who didn't already know) and how to do the drill required for the parade. We have also spent quite a bit of time going through the fire-fighting display. Practicing the drill, talking about how we can improve and then doing it again. While the format has been done for many grads before we still have to smooth over the finer points for ourselves. Next week is the graduation for Class 6/05. While the training has been great, we are all very much looking forward to this next week and then getting out to a station to start some real fire-fighting. This week was all about graduation. We had a few lessons on what to expect on our first day at a station and what would be expected of us but almost our whole time was spent practising our marching, saluting and the scenario we would be going through for Grad. Grad day finally came and the college was a hive of activity early in the morning to get everything ready. There was cleaning and setting up and making sure everything was in its place for the big day. Around 9 O'clock the first families arrived and by ten, when we marched out for the graduation parade, the marquee that had been set up especially the day before was full. The parade went well and as soon as we marched off the parade ground we had to race away to get changed into our firefighting gear for the scenario. A car exploded and we were into it. The scenario involved a car fire, a building fire (using the tower) and rescue from the top of the tower. It went quickly and before I knew it I was walking out to stand in front of the marquee and be dismissed from the college for the last time. Congratulations to Hugh Robinson who was awarded the commissioners award for outstanding student on our course. 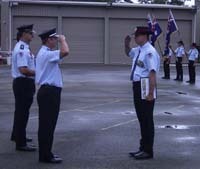 If you want to look at any more pictures from NSW Fire Brigade recruit Training click here. If you want any information on the New South Wales fire Brigades including recruitment information visit http://www.nswfb.nsw.gov.au/.